Available everywhere in the Phils. Great primer. Minimize pores and makes foundation easier to blend. 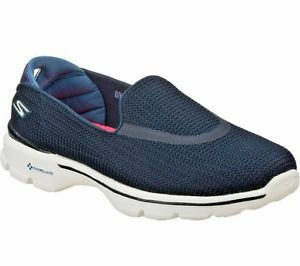 Can be put inside bag without leaking. 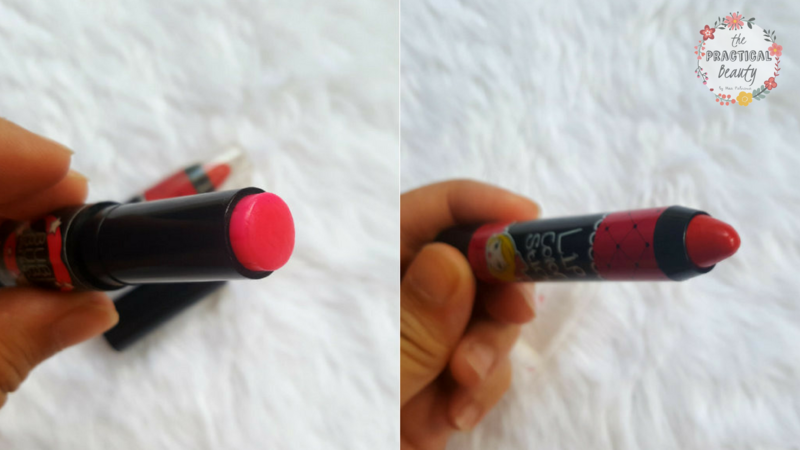 It's not as matte-ifying as I hoped. Quick FX No Shine Mattifier Review: Oily skin does not look good on anyone. That’s why we Modern Marias carry quick fixes in our bags – blotting papers, baby powder, powder foundation, the works! Alas, no matter how many “quick fixes” we bring, they seem to be no match for the Philippine humidity. Quick FX No Shine Mattifier is colorless, almost opaque. 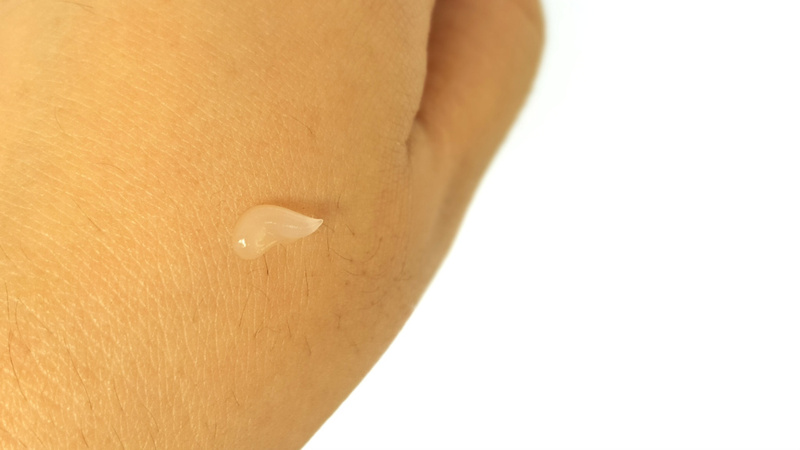 Swatch: The mattifier’s consistency is something in between a cream and a gel. It’s colorless and almost opaque. It doesn’t really have a scent to it. Packaging: I like the packaging because it has a cap on the tip. You can easily put this baby inside your bag without worrying about leakage. Amount: Frankly speaking, I am not sure if 10g is worth Php99.00. You don’t need a lot when you apply it, so for the whole 10g, you can probably apply it for a month. 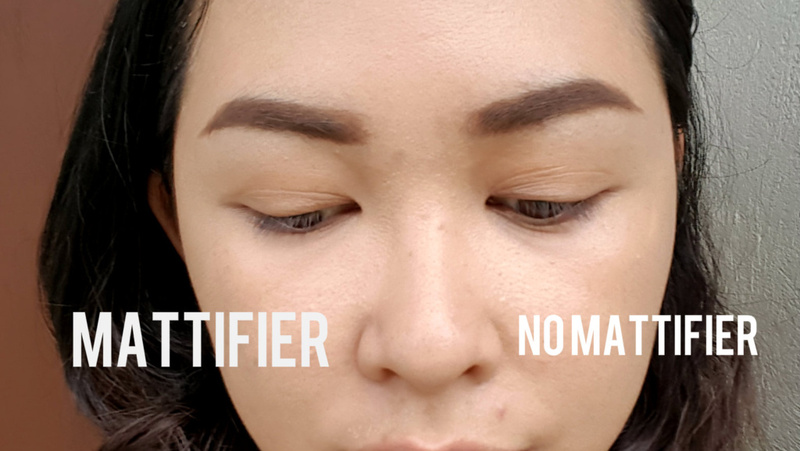 I like that the mattifier can be worn by itself, under powder foundation or under liquid foundation. In my case, I put it on before I applied liquid foundation. 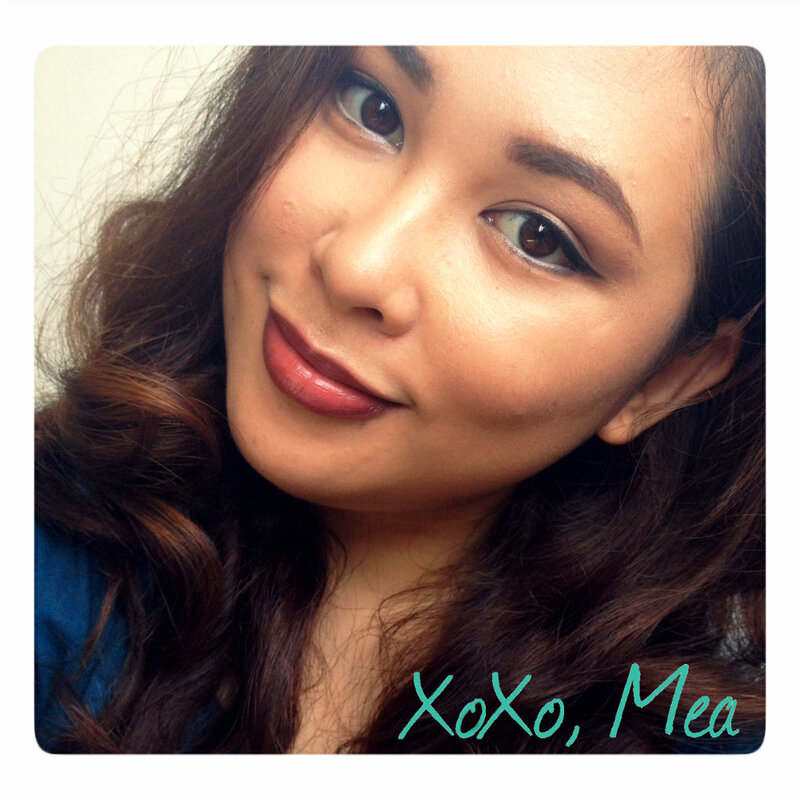 It slightly reduced the appearance of my pores and fine lines, and it did matte-ify my face a little. As you can see, the side with the mattifier has less shine than the side without (see picture above). I stayed under the scorching sun for 5-mins just to see what happens. Above is the result. The side with the mattifier is still pretty matte but I have yet to find out if this can really stand the test of time. So far, it is a decent primer or foundation base, in my opinion. Before and After I did my makeup. 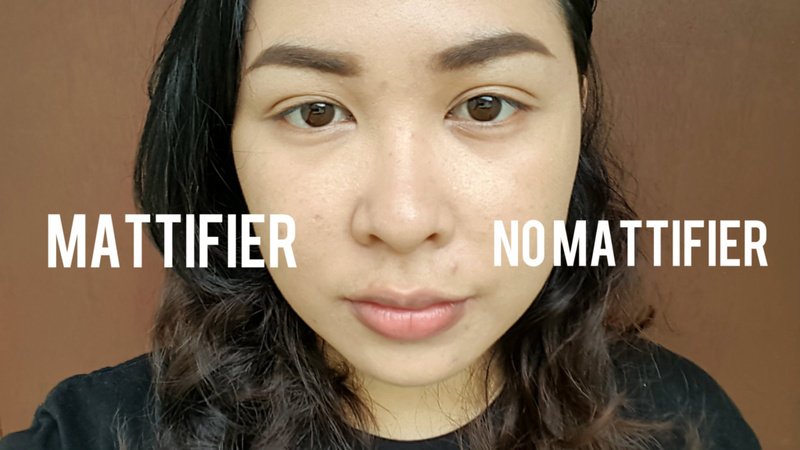 I’m letting you guys in on how I do my foundation process so you can, more or less, tell if the product will work for you or fit in your own process of putting on foundation. Please pardon my hair. It was super humid that day and the frizz is just all over the place. The Quick Fx No-Shine Mattifier lasted approximately 2 hours. That’s all you get, 2 hours of matte goodness and then it’s hello to oily skin. My blush was still visible but I think it’s because of the technique I’m doing for my foundation. Most of my foundation is gone. You can clearly see the shine concentrated on my T-Zone, especially on my nose and between my brows. 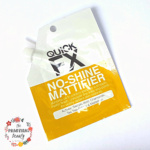 Quick FX No Shine Mattifier Review Conclusion: To Buy or Not To Buy? I’m still going to stick with my first opinion: there are better products out there for mattifying. For one, loose powder can do the job of taking care of that shine. For the Quick Fx No Shine Mattifier, it only looks great when you first put it on. 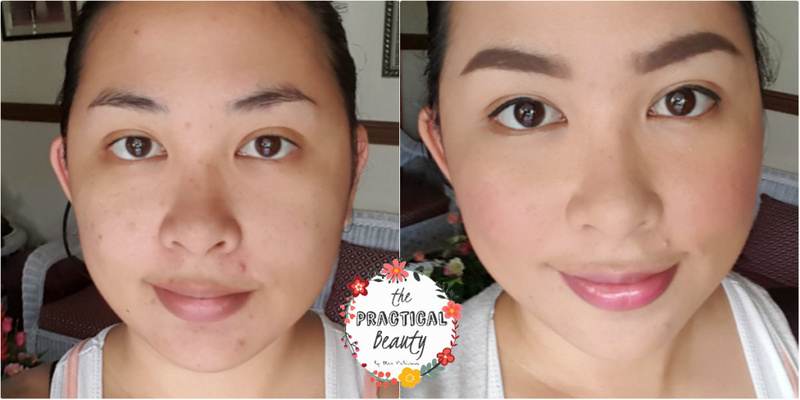 I would recommend it for those who are attending events like an outdoor wedding where you have to look shine-free in photos. Just make sure to touch-up after 2 hours. Also, please remember that it is not a mattifier that was formulated for all-day-wear. It’s really good to see those information, thank you for sharing it to us, xoxo. For the two hours it lasted. You had a smooth matte skin. I think I love the product.